Channing Tatum has been making headlines because of his relationship with Jessie J, recently stepping out for a rare public appearance as a couple this week. The two have been romantically linked for a few months and fans are generally stanning the union, wishing them well on social media. As for Channing's latest idea to spice up his coif, his supporters pretty much agreed that a bleached blonde buzzcut was not the best choice for him. The actor posted up on his Instagram story to show off his new haircut, revealing that he had chopped off his locks and dyed them blonde. He asked fans if they were down with the new look, to which most people responded with a harsh no. Others started noticing serious similarities to a certain rapper from Detroit. You know... Marshall Mathers. 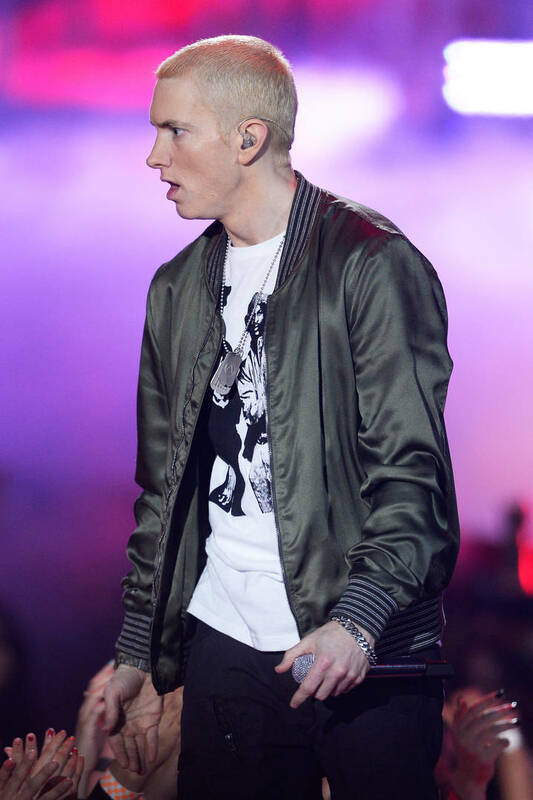 Eminem is famous for his blonde buzz, even though he's gone through phases that included different colors. Many of his younger fans use the blonde locks to mimic him for Halloween. While Channing Tatum likely just decided that the switch-up would be a good look, fans are comparing the two celebrities in side-by-side photos on their social profiles. Some have even speculated that he will be portraying the rapper in an upcoming film. That's how you know this is legit. Do you spot the resemblance or are you not seeing what everyone is freaking out about? Take a look at the comparison below.